How does Offline Surveys work? Offline Surveys is very easy to use. You just create your surveys at LimeSurvey and Offline Surveys then converts them into a special structure so they can be used offline. 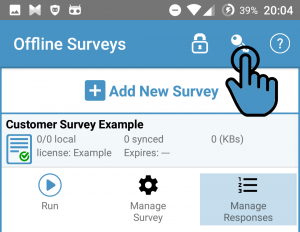 Does Offline Surveys work with all Android devices? 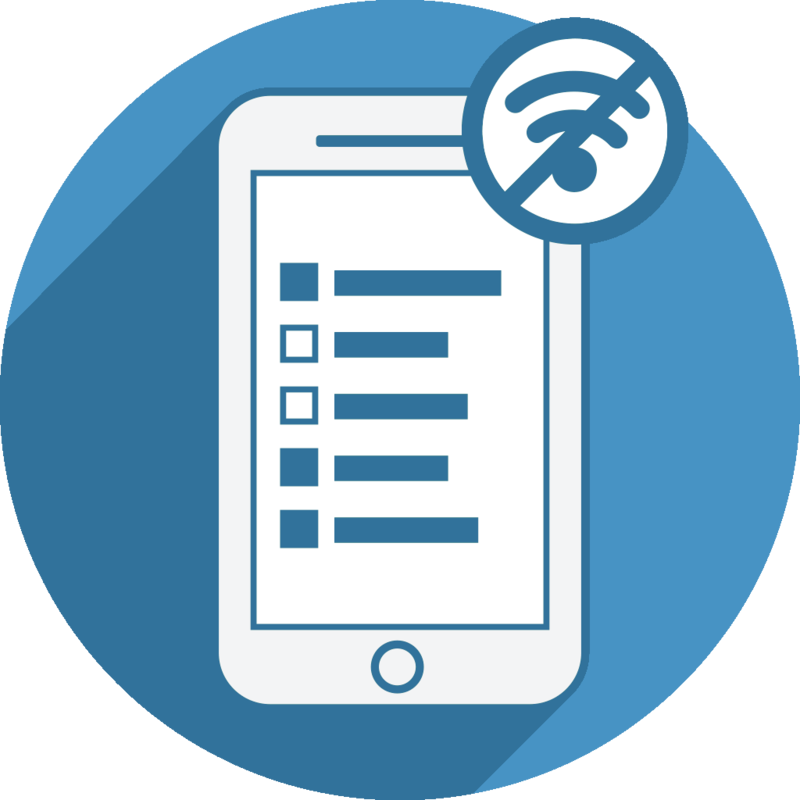 Offline Surveys is optimized for phones and tablets and will work wit any device running Android OS 17 or later (4.2 Jelly Bean, launched in 2012). We are also planning to make Offline Surveys available for older Android OS releases. Which LimeSurvey versions is Offline Surveys compatible with? Which LimeSurvey question types does Offline Surveys support? Offline Surveys supports all Limesurvey question types but one. The File Upload question is not supported yet because the LimeSurvey API only supports syncing survey responses, uploading files using the API is not doable yet. Will all LimeSurvey surveys work properly when using them at Offline Surveys? Offline Surveys supports all LimeSurvey question types and nearly all LimeSurvey features but to port a LimeSurvey survey to OfflineSurveys, certain requirements have to be met. The app will guide you step by step on how to adjust required settings at LimeSurvey. Does Offline Surveys support all Limesurvey Expression Manager features? Yes, it does. All LimeSurvey Expression Manager Features which work properly in LimeSurvey’s “All in One” mode will work fine wen using the survey at Offline Surveys. How do I add a new survey? We have documented this process for you in detail at the How to add new survey page. Which settings are required when adding a survey to Offline Surveys? Offline Surveys will guide you through this process step by step and will tell you how to adjust your survey at LimeSurvey acordingly. If you prefer to adjust these settings before setting up your survey please check the required survey settings. How to fix errors showing up when adding a new survey? There are some known errors when adding a new survey. For all of these issues we have added an error description at the linked website and there we also explain how to fix these. How to sync responses automatically? The feature to sync responses can automatically upload new responses to the server once Internet connection is available. The required settings are documented at How to sync responses. 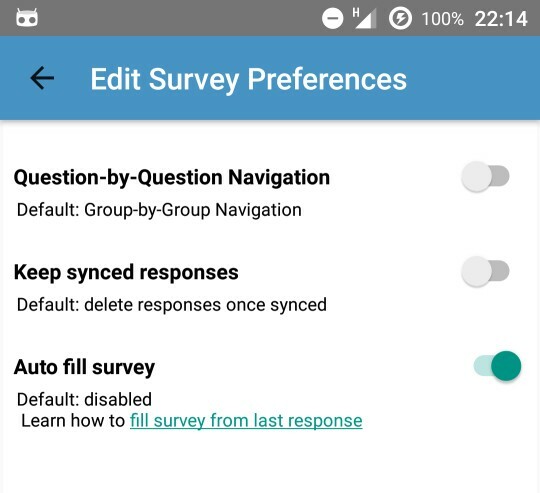 Besides all LimeSurvey question types Offline Surveys also supports various Android multimedia questions (check the screenshots available here). These can be used to enrich your surveys if you run them using Offline Surveys. We have created some examples and detailed instructions for you to easily add these questions to your LimeSurvey surveys. 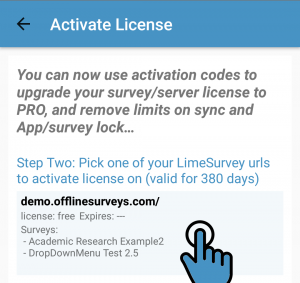 Which LimeSurvey user rights are required for Offline Surveys? You can then send the whole survey as .LSO file to any email address(es). The file will be fully encrypted, also username and password will be encrypted in the database. How can I use the “Previous” button at my surveys? When caching the survey, the all-in-one mode is required, but at that survey mode there actually is no “Previous” button (that wouldn’t make sense). For that reason, we can’t make use of the common previous button (it simply doesn’t exist when caching). So to go back to a previous page when running a survey with OfflineSurveys, simply press the device back button down left at the very bottom. It should then show you the app’s “Previous” button feature. How to make adjustments to my survey, without re-uploading the survey? Sometimes there are several changes to a survey which was already activated and cached at OfflineSurveys. Now if there are several users doing data collection using that survey, not everyone may have refreshed the local survey version so there can be people collecting data based on an older survey version. Add a question of type question. At the question text list the version number. 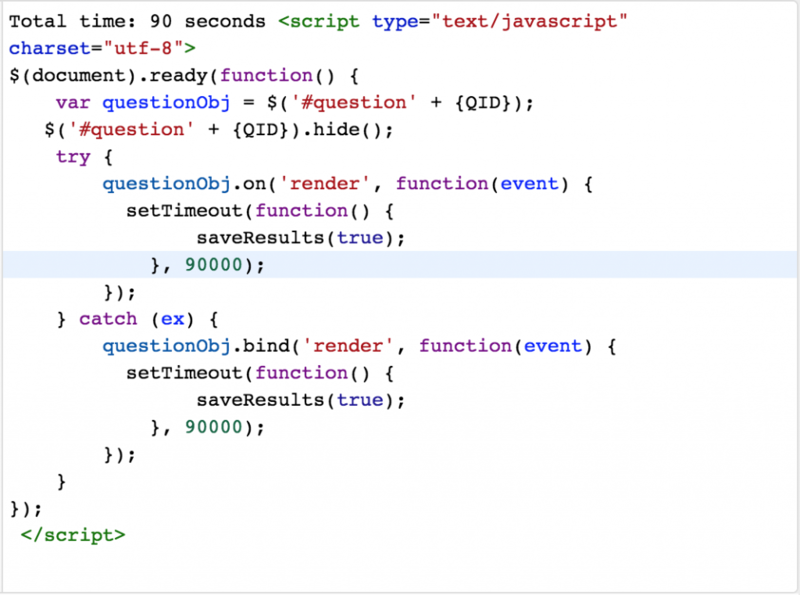 Now the question should not be visible anymore but the version detail will still be stored at the response details. You can download this sample survey for testing (simply right-click and select “Save as…“). 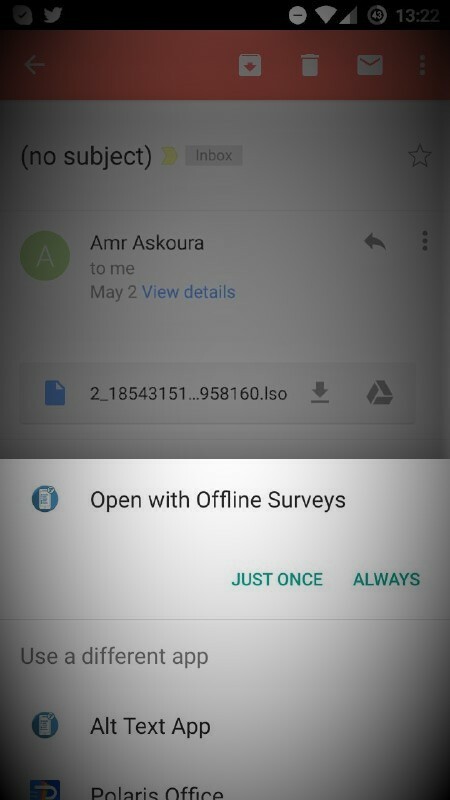 Why is Offline Surveys not completely free like LimeSurvey? Where do I enter my purchased license key for the PRO version? 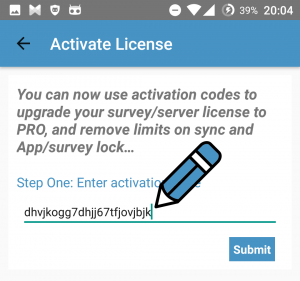 You can easily turn any FREE version of OfflineSurveys into a PRO version by entering a license key (visit our online shop for purchasing a key) or you can add a new license key to renew your license (Attention: Adding a new key overrides the old one). Note that our keys are valid for unlimited devices. You have to enter the key only once and all other devices loading surveys from the same domain will automatically receive the same key which unlocks the PRO version at that device. Add your survey to OfflineSurveys. Click the key icon top right. You will be asked for an activation code. Just copy and paste the key you were provided into that field. A list of all custom domains currently used at your OfflineSurveys app will show. Select one of them and all surveys from the selected domain will automatically be marked as PRO on all devices which are loading surveys from the same domain. This means that you only have to enter the key once at one single device. How to prefill my survey using previous response? How to use a Limesurvey survey online AND offline? Sometimes you want to run the same survey online (using a web browser) and offline (using OfflineSurveys). The advantage is that all responses will be saved at one single survey and you do not need to merge data from different surveys later. So question is “How can we use the best matching question types which can be different online and offline?” For example a barcode question available at OfflineSurveys only should become a numeric question at the online survey? Another example is the Android camera question. You can’t use that question type when running the survey with your PC’s browser so that question types has to be turned into a file upload question. This will call either function doOfflineLogic() or doWebLogic() which you can use for further actions.